Many families in El Salvador lack the necessary support to better their situation and thus ensure that their children will be able to escape the cycle of poverty as they become adults. The safety, health and education of children must be ensured to achieve long-term improvement and a peaceful society. Santa Ana is the capital of the department of the same name in western El Salvador and has a population of over 250,000, making it the country’s second most populous city. The department was once inhabited by the Mayas and contains a number of archaeological sites. Today, Santa Ana’s economy is based mainly on commerce, the service industry, and agriculture such as coffee growing. The new Longitudinal del Norte highway running through the Santa Ana department all the way to Guatemala has resulted in an increase in drug trafficking in the region, mainly by the Mexican-Colombian Texis cartel. This type of organised crime leads to violence and insecurity for the already struggling population. Due to the very difficult socio-economic conditions many families here face, it is not uncommon for children to have to work, sometimes in very hazardous environments. Children participate in agricultural activities, work as domestic employees, sell merchandise on the streets or shine shoes. Many children are also involved in picking through the large rubbish dump just outside of Santa Ana, searching for recyclable materials to sell. The children usually work in pairs, with the older of the two picking through the new rubbish delivered by the trucks, and the youngest children guarding the day’s loot. They then divide whatever money they earn and take it to their parents. Often, these children are from fragmented families where parents struggle with unemployment, alcohol or drug addiction, and in some cases, children themselves become substance abusers. One of the reasons that child labour is common is that for many families, the struggle to meet immediate needs, such as food and clothing, is more pressing than long-term goals such a solid education for their children. SOS Children’s Villages cares for children whose parents are no longer able to look after them, and we provide support to young people on their path to becoming adults. 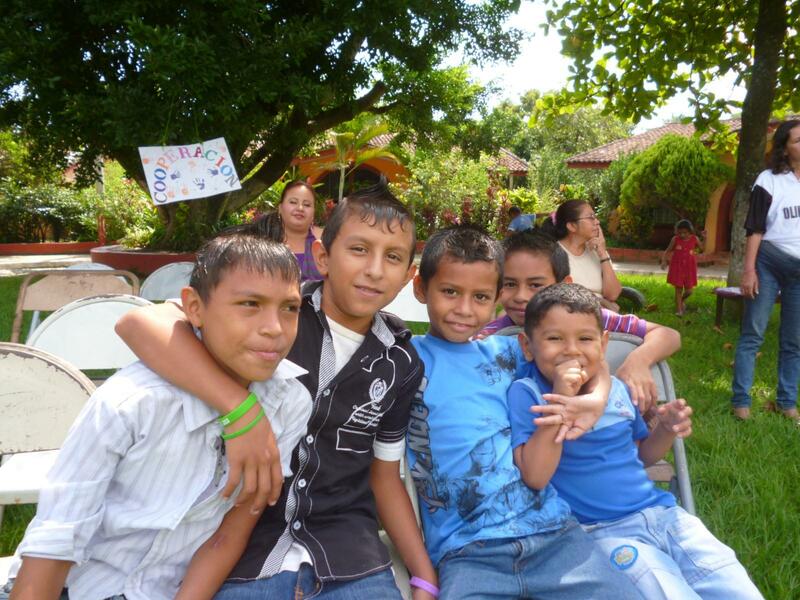 SOS Children’s Villages began its work in Santa Ana in 1985. Today, 15 SOS families can provide a loving home to up to 144 children who are no longer able to live with their parents. In each family, the children live with their brothers and sisters, affectionately cared for by their SOS mother. When young people from the children’s village are ready to leave their family in order to pursue further education or vocational training, the SOS Youth Programme provides shared accommodation. The young people live here together and, with the support of qualified counsellors, they can learn to take responsibility, plan their future and prepare for independent adult life. 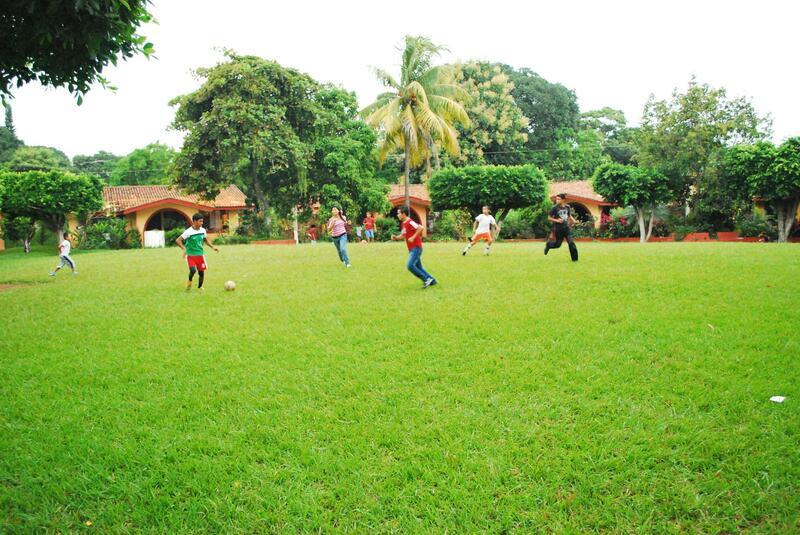 One of our SOS Vocational and Training Centres is also located in Santa Ana. Here, future SOS mothers and co-workers are comprehensively educated and prepared for the important roles they will take on in an SOS Children’s Village.